Two of my Magnificent 7 friends and I went out to celebrate our birthdays recently. And because Margaret and Gail are so easy going, I got to choose the restaurant. I had read a little bit about it on Patch and then saw the menu a few weeks ago. 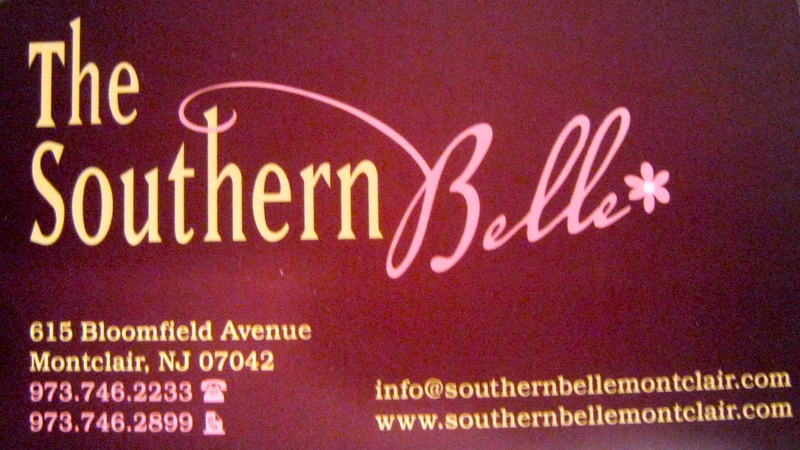 We ate at one of the newest restaurants in Montclair, NJ: The Southern Belle, open only about ten weeks. Montclair is known for its restaurants; within the town’s borders you can find many a finely cooked and presented ethnic dish. 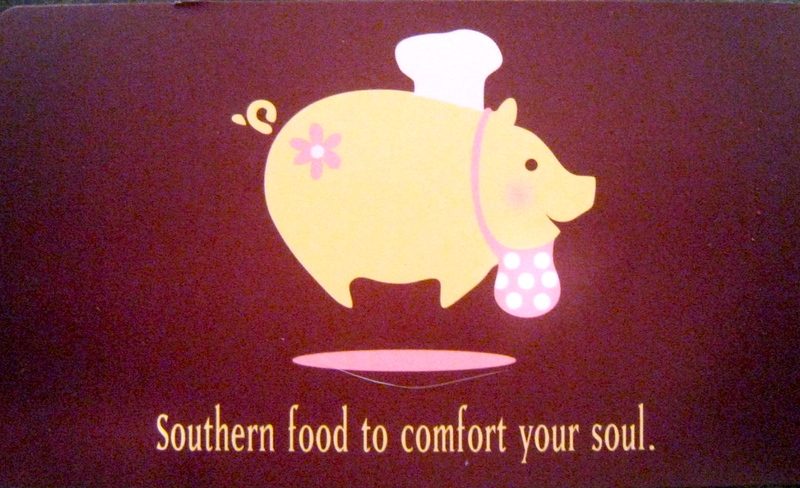 Well, I’ve dubbed my favorite new ethnic cuisine “Southern Comfort” and The Southern Belle makes it. 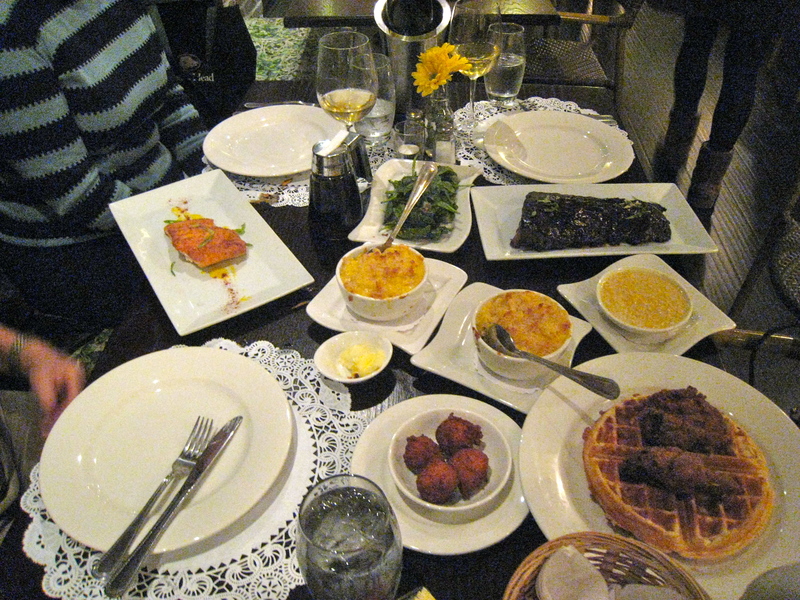 We ordered a couple appetizers and a few main dishes and sides then shared the lot. 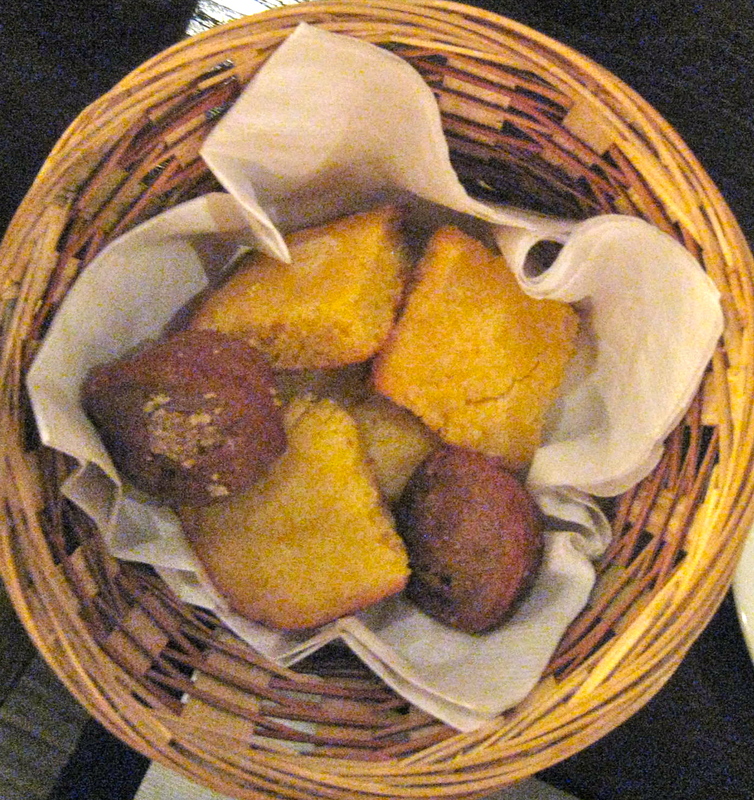 Before our appetizers arrived we sampled a small basket of freshly made mini corn bread slices and pumpkin muffins. The pumpkin muffins, redolent of pumpkin and cinnamon, were our hands-down favorite. I'm a fan! I love fried pickles. Our appetizers, fried pickles with ranch-style dressing and Maryland crab cakes, arrived at our table hot, crunchy on the outside and bursting with flavor inside. The pickles, sliced medium thick, were lightly batter. I ate my way through at least a dozen slices of perfectly balanced crunch and brine while Margaret and Gail divvied up the Maryland crab cakes. 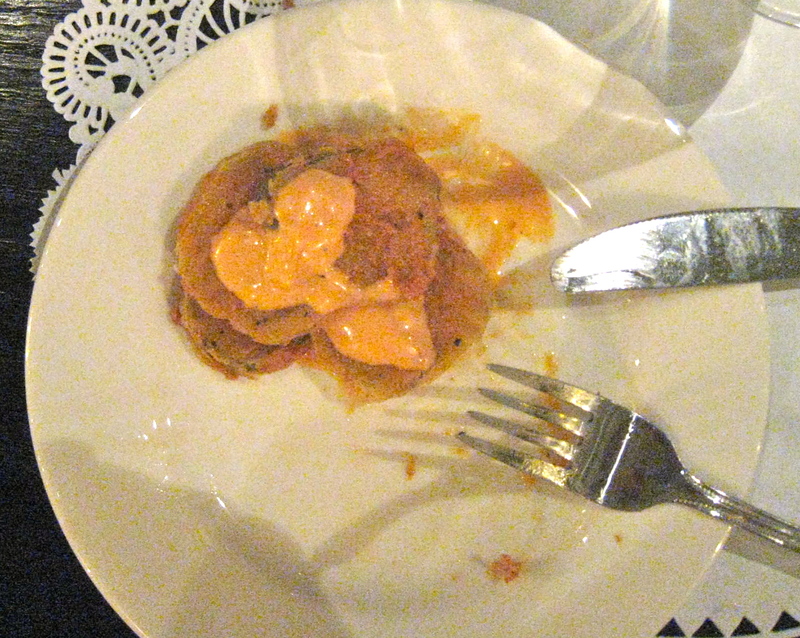 Gail, whom I know loves, loves, loves crab cakes, pronounced Southern Belle’s the best she’s eaten. 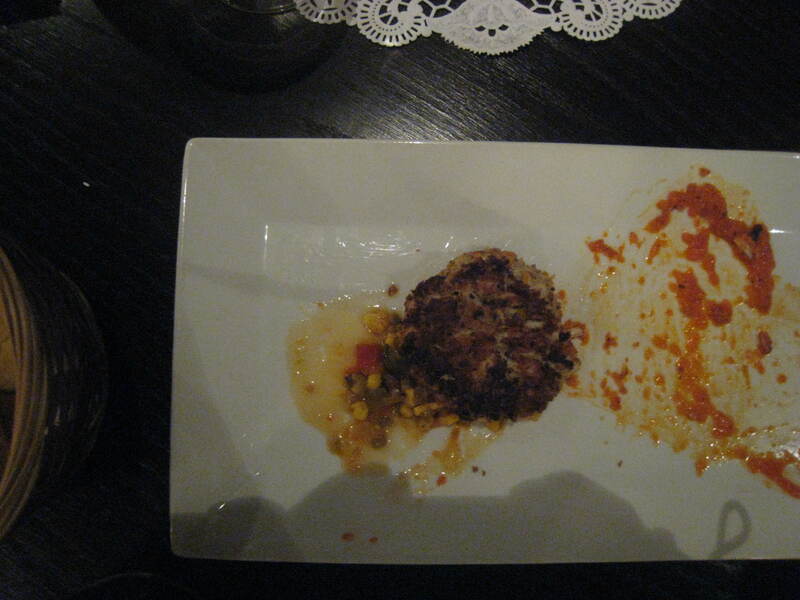 I wasn't quick enough to get a photo of all the crab cakes on the plate. This will have to suffice! The photo doesn't do the ribs justice. Trust me! 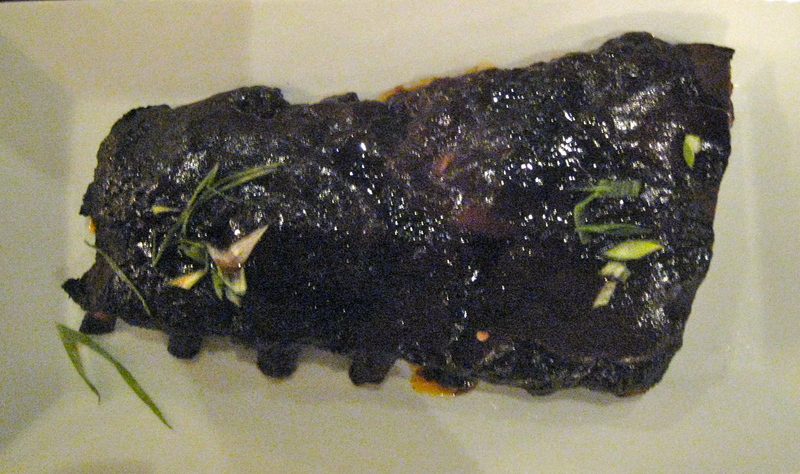 We skipped a salad course and dove right into the baby back ribs, which were smoked, dry rubbed, slow cooked and slathered in a not-too-sweet, not-too-tart BBQ sauce. As I easily sliced the rack into smaller portions some of the meat just fell off the bone. I closed my eyes on the first bite: sticky, chewy outside and tender, flavorful inside. Shameless, I grabbed the last rib on the platter for myself. 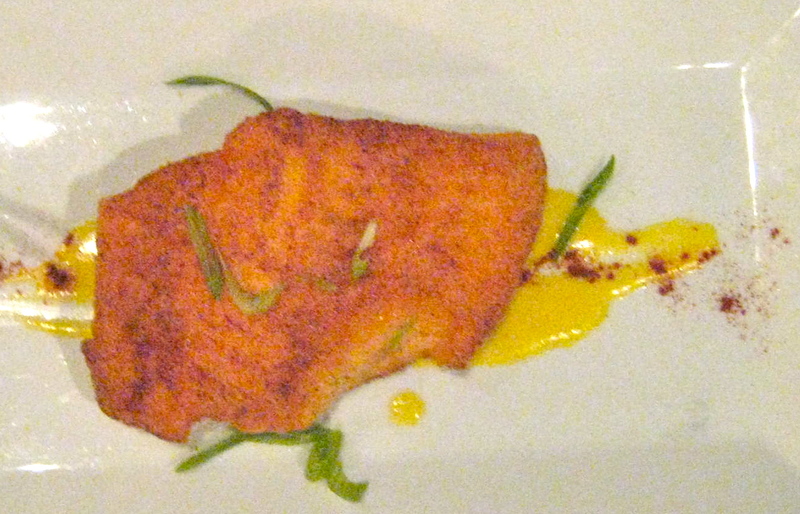 Gail and Margaret, who love fish, said the Savannah salmon, dusted with cornmeal and pan seared, was delicate and flavorful. Light and flaky was the verdict. fall off the bone chicken, malty waffle and syrup. Maple syrup. The chicken and waffle dish was a surprise. My Great Aunt Lilly used to make a fall-off-the-bone creamed chicken that she served over a fresh hot waffle. When I convinced my two friends to order the chicken and waffle dish, that’s what I thought we’d get. We didn’t. 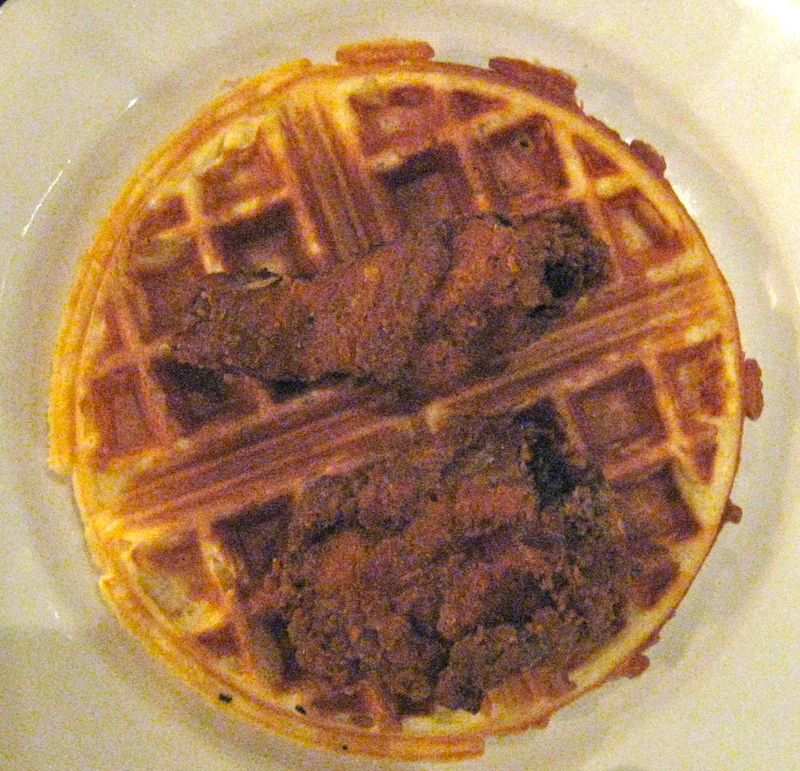 We got 2 pieces of deep-fried chicken on the bone served over a freshly made warm waffle. With maple syrup on the side. Yep. You heard me. Maple syrup. I easily wrangled the chicken off the bone and eased a portion of the waffle onto my plate. And I topped the whole shebang off with some maple syrup. It was perfect. Perfect! Warm malty waffle. Crunchy tender fried chicken. Rich maple syrup. You have to try it to believe. Go ahead. I dare you! Oh wait a sec. I almost forgot to tell you about the “sides.” We ordered wilted spinach, mac and cheese, hush puppies and creamed corn. The wilted spinach, warm and garlicky, was over-the-top good! The mac and cheese, served in a little round bowl, was crunchy on top and had a creamy texture inside. Gail sampled the creamed corn and Margaret the hush puppies. I didn’t hear one complaint. Talk about a groaning board! We tried, but we couldn't finish it. Completely full and ready to take a nap on one of the comfy banquettes we opted for coffee (Gail and Margaret) and iced tea (me) for dessert. 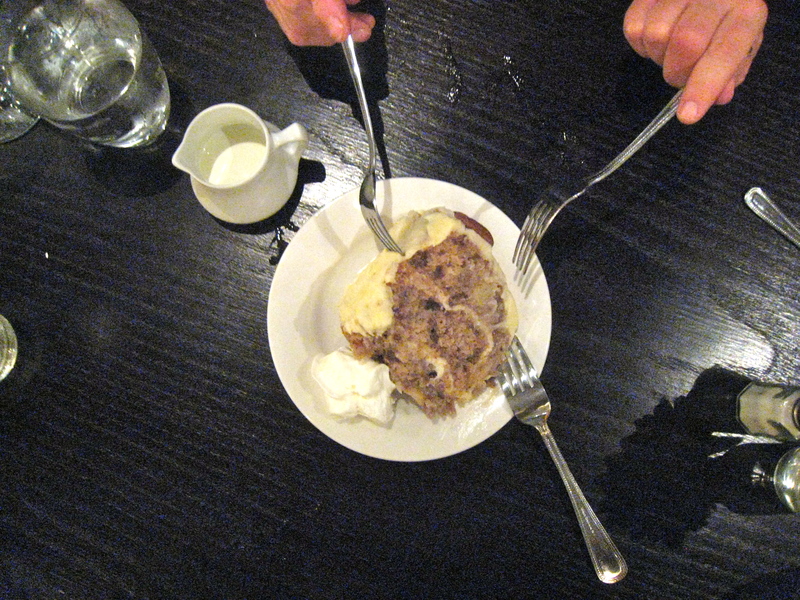 Having heard it was a birthday celebration, though, management delivered a huge slice of Hummingbird Cake to our table. Practically groaning, but game, we sampled it. The cake was moist (bananas) with a crunch that came from chopped pecans and pineapple; the icing, cream cheese based, was a fav of mine, but we couldn’t finish the cake. We were stuffed! The Southern Belle is well worth a visit. The waitstaff is young and cheery. The dining room is nicely decorated and not too noisy. And best of all? The food is yummy. Try it.